Uptake of the comprehensive environmental rating scheme has been growing since 2014 when it was revised and became four separate rating tools. Since then, the number of Green Star certified projects has grown from 646 to more than 1750 by March 2018. The top award – the Banksia Gold Award – went to the board of Lord Howe Island, which has taken a “holistic approach” to sustainability. Most notably, the island now has a tourist bed cap of 400 and a waste management facility that diverts 86 of the island’s waste from landfill. The World Heritage-listed island also has a range of conservation and rehabilitation programs, and claims to have completed the world’s first successful eradication of African big-headed ants. The award for the most sustainable small business award went to My Green Butler – a “green holiday adviser” that helps persuade visitors of hotels and other accommodation to change their behaviour, such has reducing waste and opening windows to ventilate rooms naturally. It also sets consumption targets and recommends sustainable activities for guests. There were two winners of the medium-sized business award: Biopak and GlamCorner. BioPak, a provider of single-use takeaway packaging, won the award for its commitment to the circular economy. GlamCorner allows people to rent designer dresses to help curb fast fashion culture. 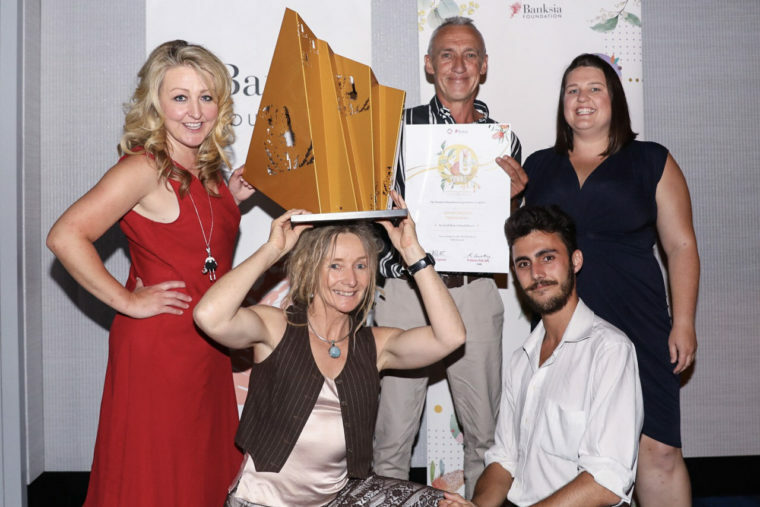 Both Officeworks (in partnership with Greening Australia) and Bank Australia (in partnership with Greening Australia and Trust for Nature) won Banksia awards for large businesses. Officeworks has been applauded for its Restoring Australia initiative, where two trees are planted for each one used based on the weight of paper-based products purchased at in the stationery stores. Bank Australia has received recognition for its 10-year strategy for its Bank Australia Conservation Reserve, which seeks to protect and support the reserve’s ecosystem, embed Indigenous land management, revegetate the reserve and deliver value to staff and customers. The full list of winners are available on the Banksia Foundation website.